Since 1993, Russell has provided accounting, auditing and consulting services to governmental, for-profit, and not-for-profit entities, including those in the financial services industry. The range of services provided includes audits, reviews, agreed-upon procedures, consulting, providing expert testimony before the state of Florida Division of Administrative Hearings, compliance and internal control reviews, assistance with structuring contracts, resolution of financial reporting issues along with various business enterprises in situations involving “buy/sale” contractual issues. Services included review of financial records and analysis and advice relative to allocations of business assets in accordance with the partnership/corporate agreements. He has also assisted in FINRA hearings, litigation matters, and provided expert testimony. Russell graduated with a Bachelor’s degree in Accounting from the University of Florida. He received his Master in Accountancy from Florida State University. 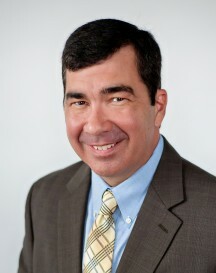 Russell is a licensed Certified Public Accountant in both Florida and Georgia.